When enjoying your Roma Gazebo, bugs shouldn't be a primary concern. 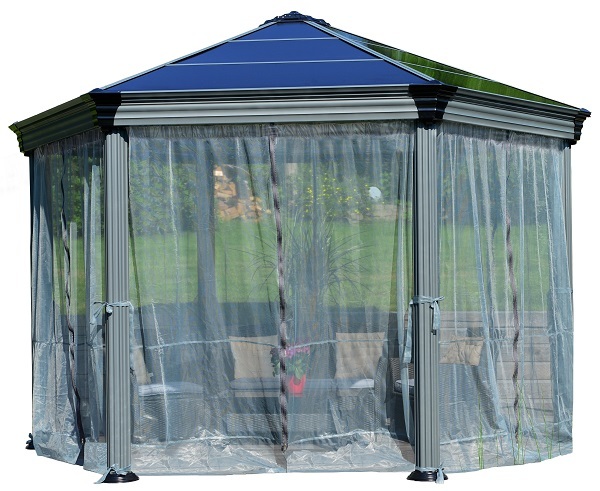 The Roma Gazebo Netting Set from Palram offers a sturdy, see-through, and lightweight solution for both privacy and bugs. 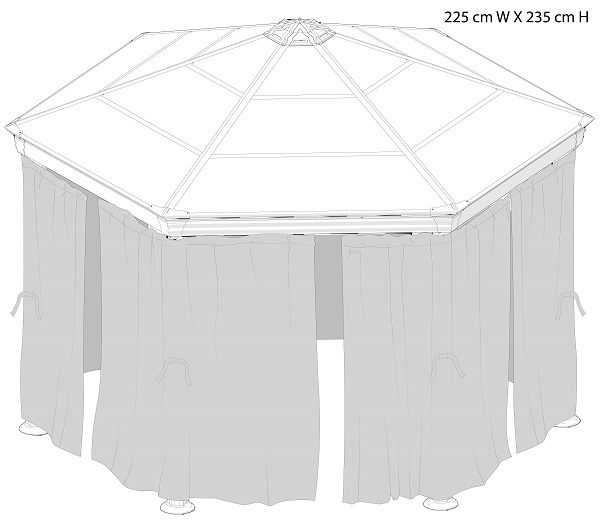 One set covers your entire Roma Gazebo and includes tie-backs so you may open them as you please. Made of polyester, this six-piece netting set zips together as well. 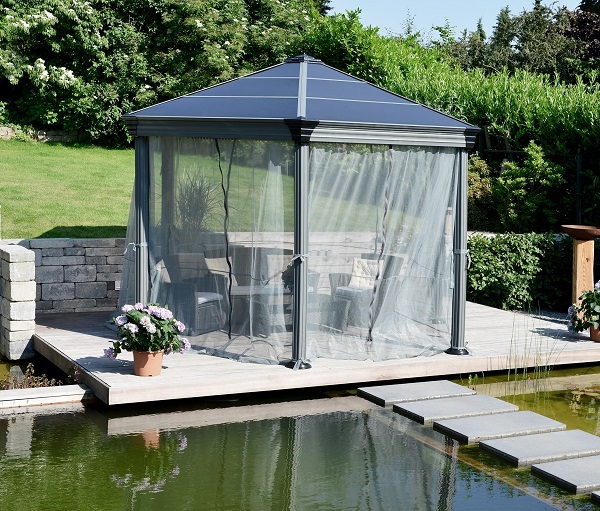 Indeed, this set will only increase the enjoyment of your Roma Gazebo.